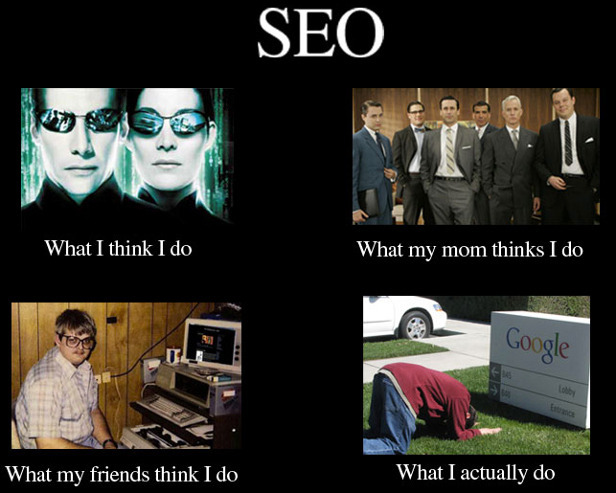 Seo…is an evil mistress. Everyone definitely has their own views on this but I feel the last square is accurate. Doing SEO basically means bowing down to Google and hoping for the best because at anytime they can make the smallest tweak to the search algorithm and that all goes out the window.